The holidays are usually when loved ones and family members come together to share great food and company. With the holidays in full swing, parties and celebrations are in abundance, and while these can be joyous occasions, there are many holiday hazards that can affect this special time of year, including personal injuries. Our team of Citrus County Personal Injury Lawyers at Whittel & Melton have compiled a few tips on how to avoid the most common injuries that plague many household every year throughout the holiday season. 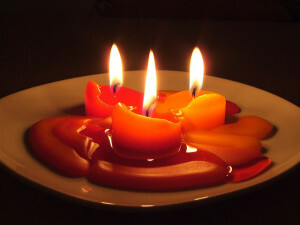 Candles can easily result in a burn injury or house fire. The best thing you can do when it comes to reducing your risk of a burn injury is to to substitute wax candles with battery-powered flameless candles. If you do make the choice to stick with real wax candles, make sure you do not leave them unattended when lit. When cooking, wear fitted clothing so that your clothes have less chance of catching fire. Keep hot foods and liquids away from the edge of the counter. Children and pets can easily knock these items over, resulting in injury. Lastly, to decrease the risk of burn injuries and fire, never leave a hot stove or oven unattended. Prepare yourself for an emergency by checking to make sure that your smoke detector is functioning and have a fire extinguisher nearby so that you can quickly and safely put out any fire. Holiday decorations that use electrical cords and strings of lights can lead to slips, trips and falls. Avoid slip and falls and trips and falls in your home this holiday season by running wires and cords behind furniture or along the walls and securing them down. Secure rugs inside your home by placing adhesive backings onto them so that they stay grounded to the floor. If you or a loved one is seriously injured this holiday season, a Citrus County Injury Lawyer at Whittel & Melton can help. We are available around the clock to review your case and answer your questions about your legal rights. It is important to understand that if a person slips, trips or falls as a result of a dangerous condition, the property owner could be held liable for any injuries. Moreover, if you suffer a serious burn injury, a product manufacturer or property owner could be responsible for the harm caused. For a free consultation, call us anytime, day or night, at 352-726-0078 or contact us online.